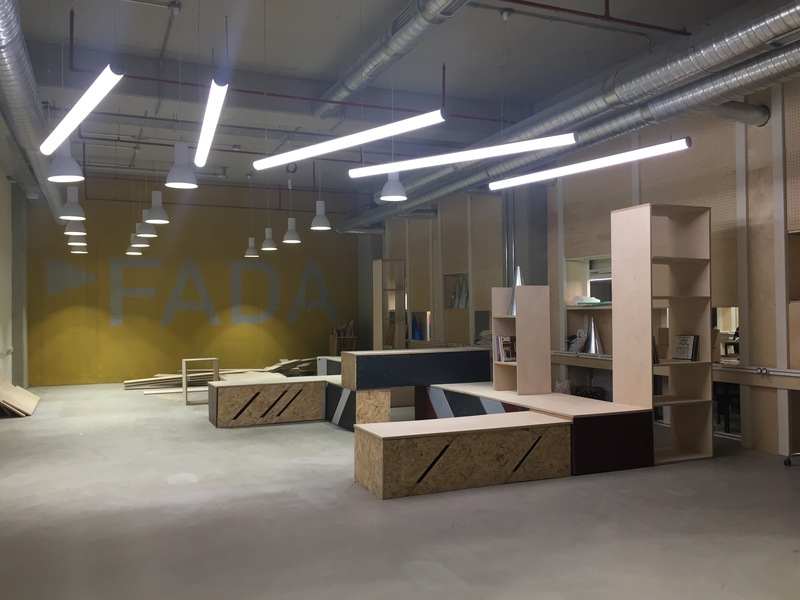 The project FADA Hangar was designed and built for MEF Faculty of Arts, Design and Architecture by the first-year undergraduate students between 28th of June and 21st of July in MEF University Campus. 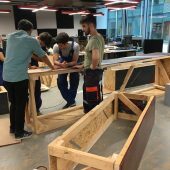 The project covers the design and building process of the entrance area of new studios at MEF Faculty of Arts, Design and Architecture located at the UNIQ Maslak as an extension to the main campus building. 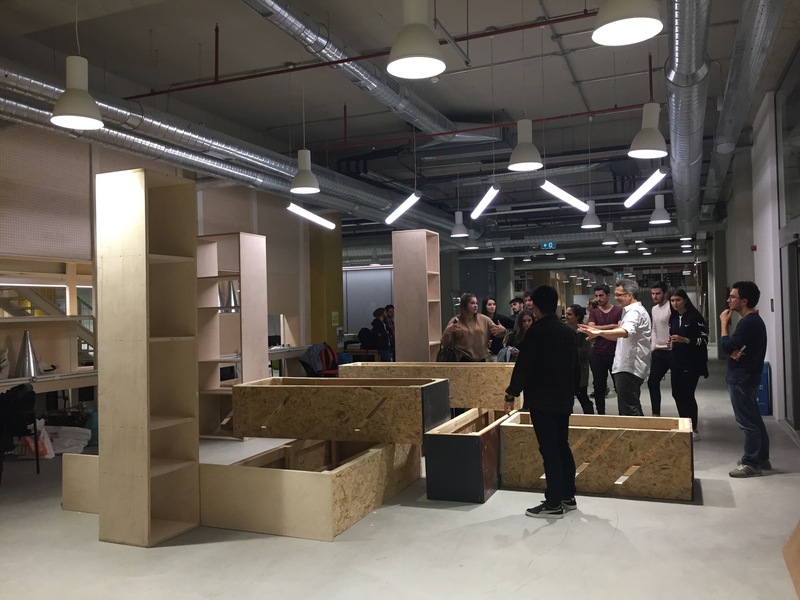 The project enabled the first-year students to be a part of the construction process of their own studios. 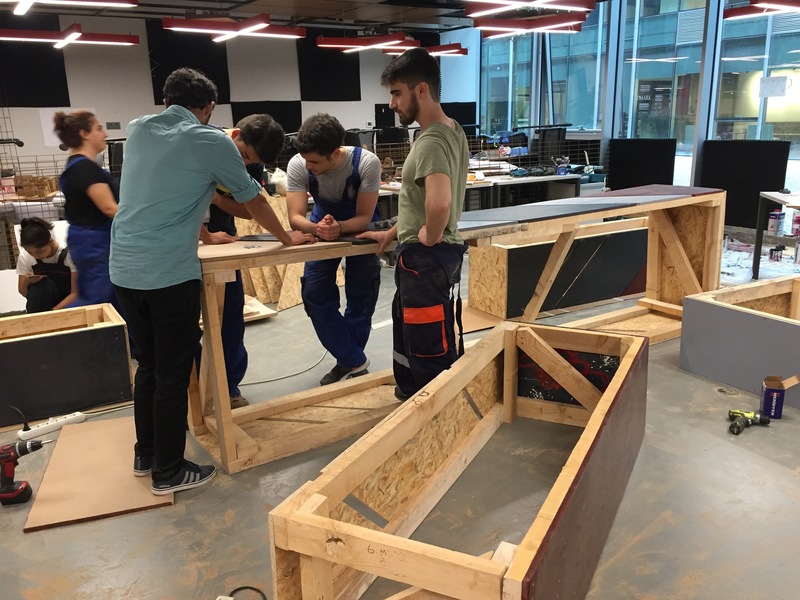 Design proposals were finalised after a 10-day long intense working session, based on the briefing by Burcu Serdar Koknar as a representative of MEF FADA Hangar design team. 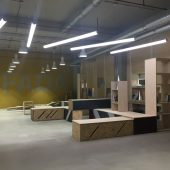 The Project is designed as a resting, reading and meeting area that hosts exhibitions, announcements, books and magazines while defining an entrance for the new FADA studios. The final design was a cooperation of three proposals that work in tandem, however, due to limitations of the ongoing construction site, two of them were finalized. One of these proposals was a two-storey exhibition corridor; the second one was a module combining the sitting/resting/reading units, and the third one was a series of structural elements defining the entrance. 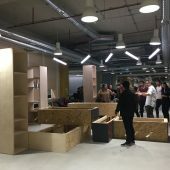 Research Question: How can a structure designed and produced by the first-year students with a limited time and budget serve as a multifunctional space for the entrance of faculty of arts, design and architecture studios?